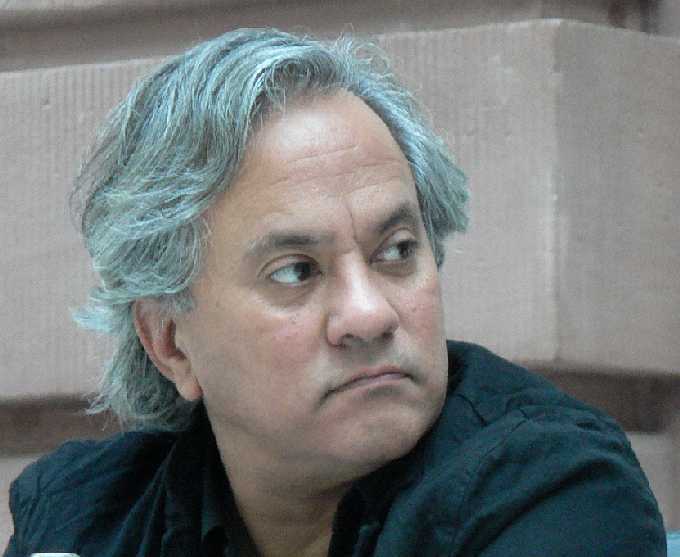 The feud between the art-world and Anish Kapoor about the colour black is ongoing. Artist and paint developer, Stuart Semple has had remarkable success with a Kickstarter initiative promoting Black 3.0, a new paint which he describes as the mattest, flattest, blackest black paint available. It is claimed that Black 3.0 absorbs 98-99% of visible spectrum radiation. The product combines black pigment with a custom acrylic polymer and its extreme matt finish is achieved by the use of nano-mattifiers. As at today, the Kickstarter campaign has raised NZ$244,293 from 2947 backers and it still has fourty six days to go. Rejigit update: 7th December, 2016. Rejigit previously blogged about Sir Anish Kapoor, 12th May 2016 with regard to his Chicago public installation known as Cloud Gate. It would appear that he has provoked the anger of fellow artists by acquiring the exclusive rights to the "blackest black" in the world. Known as Vantablack®, the colour pigment is so dark, it absorbs 99.96 percent of light. The colour is produced by the UK firm Surrey NanoSystems and was developed for military purposes such as the painting of stealth jets. “It’s blacker than anything you can imagine, Kapoor has said and It’s so black you almost can’t see it. It has a kind of unreal quality. The material is so dark it makes crinkled aluminium foil appear flat. Kapoor clearly knows the value of this innovation with regard to his work. “I’ve been working in this area for the last 30 years or so with all kinds of materials but conventional materials, and here’s one that does something completely different,” he is quoted as saying. However, Kapoor’s decision to withhold the material from fellow artists has sparked outrage across the international artists community. Kapoor’s actions are not unprecedented. In 1960,Yves Klein invented a colour and secured a patent on International Klein Blue. The difference in this case is that Kapoor didn’t invent Vantablack and Vantablack’s properties are very unique. Vantablack is revolutionary in its ability to be applied to light-weight, temperature-sensitive structures such as aluminium whilst absorbing 99.96% of incident radiation which is believed to be the highest ever recorded. Three dimensional objects appear flat. A flat white in a very black cup. Vantablack is a major breakthrough by UK industry in terms of the application of nanotechnology to optical instrumentation. For example, it reduces stray-light thereby improving the ability of sensitive telescopes to observe the faintest of stars. The manufacture of super-black carbon nanotube-based materials has traditionally required high temperatures thus preventing their direct application to sensitive electronics or materials with relatively low melting points and together with poor adhesion, prevented their application to space and air-borne instrumentation systems. During Surrey NanoSystems two year development and test program they successfully transferred the product's low-temperature manufacturing process from silicon to aluminium structures and to pyroelectric sensors. Vantablack has the highest thermal conductivity and lowest mass-volume of any material which can be used in high-emissivity applications. It has virtually undetectable levels of outgassing and particle fallout, thus eliminating a key source of contamination in sensitive imaging systems. In addition to its work in applying nano materials to semiconductor device fabrication, Surrey NanoSystems' manufacturing process also enables Vantablack to be applied to flat and three-dimensional structures in precise patterns with sub-micron resolution. ..Treating a surface with a coating so black it deceives the eye and opens up a world of opportunity for those working in product design. Three-dimensional features are made to appear flat, and contrast takes on new meaning. The often used expression "it's like staring into a black hole" goes some way to describing the effect. ..In terms of architecture, as well as creating interesting mood spaces by using Vantablack's unique ability to hide 3D features, the coating is very efficient at absorbing the solar spectrum compared with other black finishes and also presents the possibility of improving climate control in large buildings. Sir Anish Kapoor was recently at Seoul’s Kukje Gallery on the occasion of the opening of his new show, “Gathering Clouds,” which runs until October 30. He was surprisingly candid about the furore amongst international Artists as a consequence of his seizing exclusive rights to Vantablack. Though it’s easy to imagine how striking “Gathering Clouds” would look coated in that unreflective colour, it will likely be some time before the artist is able to do that. The pigment’s inventors are currently only able to produce in amounts of about two centimetres square. “It’s not black paint that comes out of a tube. It’s complicated,” he added.